Engines2 x 250 HP John Deere engines. 21 KW Generator. Captain Jack and Jaimey are an energetic and fun loving couple that will make you feel relaxed and at ease. With this crew, the answer is always YES! They are passionate about sailing and share a love for the Caribbean. Captain Jack has intriguing historical stories about the Caribbean that he loves to share with guests. “Story Time” as many past guests like to call it, is a daily event that takes place during breakfast each day. Jaimey is an amazing chef. Her food is fresh and full of flavor and her homemade breads are to die for! Jaimey is also full of energy and loves to snorkel, hike, run and when time permits, lead a dive or two! Jack is from the US and Jaimey is from the cold north of Canada. With over ten years living in the Caribbean, these two are a professional hard working team who are enjoying life to the fullest. Jack and Jaimey have been chartering in the Caribbean together for 8 years. They have chartered in The Grenadines, St Martin and The BVI´s. Together they have sailed over 15,000 nautical miles including an Atlantic crossing after picking up a brand new Lagoon 620 in France in 2016. They will be crossing the Atlantic again in December of 2018 after picking up Tellstar Lagoon 77 from the factory in Bordeaux France. Captain Jack was born and raised in Maryland sailing the waters of the Chesapeake. He started sailing as a young boy with his father. He studied at the University of Maryland and served in the US Navy. Jack has a bachelor´s degree from the University of Maryland and was trained in the Navy´s Nuclear Power Program were he served on Submarines. After leaving the Navy, Jack worked as a Nuclear Engineering consultant for 14 years during which time he obtained a Master´s in Business Administration from Johns Hopkins University. Jack built sea miles in the Navy, and doing deliveries and passages throughout his years in the corporate world. Finally, Jack decided to fulfill his lifelong dream of being a sea Captain and left the US. Jack sailed, single handed, across the Atlantic and has completed many other crossings and long distance deliveries. Jack has also skippered numerous recreational vessels, including day sail vessels, dive boats, as well as working on Tall Ships. Jack is passionate about being on the water, but even more passionate about sailing. He has spent the past 10 years in the Caribbean working in the private yacht industry, running day charters and Captaining term charter vessels with up to 10 guests. Jack is a qualified Dive Master. Jack has a contagious joy for life. 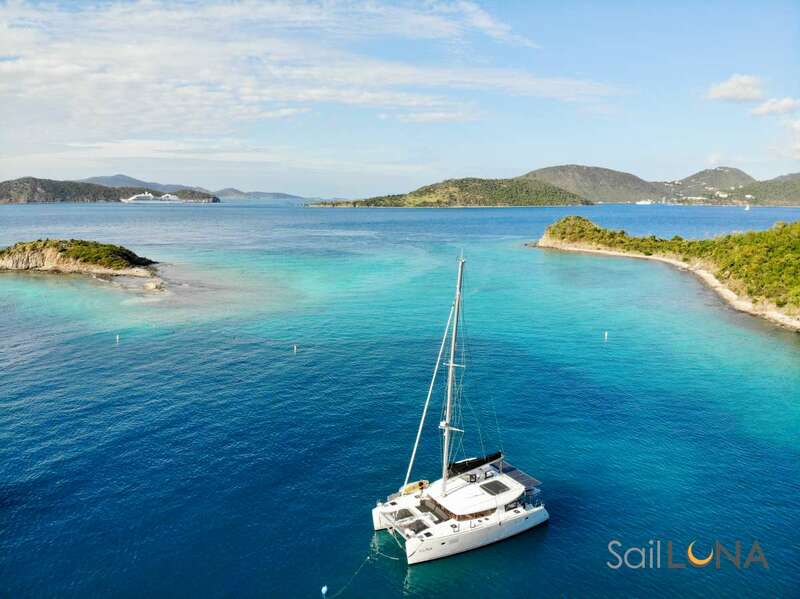 If you are looking for a sailing vacation that is exactly what you will get with Jack as your Captain. You will see Jack’s face light up if asked to teach people how to sail. First Officer/Chef Jaimey was born and raised in Canada. From the time she was born, she spent summers yachting on the lakes around Ontario with her family. Jaimey has a Civil Engineering degree from McGill University in Quebec and worked in the Environmental Engineering field following university. Jaimey´s love for warmth and water brought her to the Caribbean 9 years ago where she learned to sail. Jaimey is the optimal chef and first mate. Her cuisine is full of flare and flavor and she always caters to the guests tastes. Jaimey loves to try new recipes and isn´t afraid of a challenge in the galley. Jaimey’s recipes are light and healthy yet filling and her homemade bread is heavenly! With Jaimey´s love for sailing and the water she is also a great first mate. Jaimey loves to run, hike, explore, and exercise and will happily show you the islands from her perspective. Jaimey is also an experienced DiveMaster and loves to snorkel. Jaimey’s joyful spirit, caring nature and love for cooking wonderful food guarantees guests feel relaxed and at home on their vacation. Send us an inquiry to get specific pricing for Tellstar. Just spent an amazing week with Jack and Jaimey. The most gracious hosts, amazing food, incredible knowledge of the BVI’s, and constant source of jokes and stories. Can’t recommend them enough...the answer is always YES! Split Second was spotless, the flybridge upper deck was our favorite hangout.Jack and Jaimey are a phenomenal team. The itinerary was perfect and they made it fun. As a former restaurant owner, with 35 years in the industry, I would have hired Jamie in a heart beat but I know I could never match the view she has from her kitchen. She is talented, precise, and her food presentation is out of a magazine, while ALL being made from scratch, right down to the hamburger buns. The seasoning flavors and textures, are unbelievable, especially for a self trained chef, and she is also a dam good sailor. There are only 2 words; 5 star. Thanks for all your help arranging the charter, it was a wonderful vacation. If I can ever stop talking about it, I will most likely be booking again. Jack & Jaimey were excellent! They were delightful - looked after our every need and were a joy to be around. Jaimey offered hiking/running suggestions to our son/daughter and Jack amused us with his many tales. Split Second was very comfortable, clean and the AC was good when required. Fave aspect was the fly bridge. Food was excellent and always superbly presented. Jaimey satisfied all our needs and always had the hot sauce on the table - as some of us like spicy food! The food was so good, we asked for many of Jaimey’s recipes. The itinerary was perfect for us and, even though the weather (north swell) wasn’t always kind, we managed to sail to bays we had never visited before. Always happy with Sailing Directions’ service - can’t think of anything you can improve. This was our second charter on Split Second and our second visit to the BVIs - we fell in love with the crew and the islands. We’ve been chartering for a number of years. Jaimey and Jack were the best! The answer is YES, no matter what the question. Great insight into what there is to do, what you should try, and what’s possible given the conditions. Jack’s sailing lessons (see their post from 2/13/18) encouraged us to learn and he let us lend a hand. Couldn’t have been more pleased with the week. Our family of four recently took a seven day New Year´s British virgin islands cruise on the Blue Moon catamaran. It was a truly wonderful experience! The Blue Moon has three guest suites, a spacious indoor salon with a widescreen television including a large selection of recent movies in addition to DirecTV, an aft dining area, a flybridge with large padded seats, and a very large area in the front of the boat with several seating spots including two trampolines, 2 large bean bags, and sunken benches. Plenty of cozy spaces to congregate, sneak off for solitude, or stargaze at night. While the boat is very luxurious and well appointed, the real treat is the service provided by the crew. First the food: prior to our cruise we were asked about our food and beverage preferences, which we provided by email. Interesting and delicious appetizers, specialty drinks, and combinations of food that we had never experienced before. We must also mention that the boat is incredibly clean and fresh. The Captain would conduct a breakfast meeting every day showing us where we were on a map and outlining the myriad possibilities that lay before us for the day, then let us chose our own itinerary. We never really had to cruise more than an hour or two to get to our next destination. We could find an isolated beach, snorkel, float on the large inflatable, waterski, wakeboard, paddleboard, swim, sun, hike, enjoy happy hours or after dinner cocktails at a festive beach bar, or just do nothing and lounge about the boat. We cannot more highly recommend an excursion on the Blue Moon. We greatly look forward to our next opportunity to sail with them.